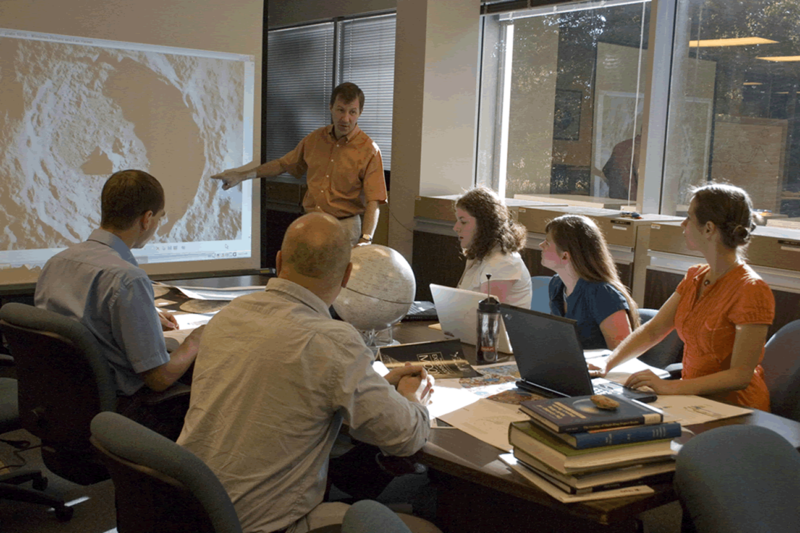 The Center for Lunar Science and Exploration of the Lunar and Planetary Institute (LPI) and NASA Johnson Space Center invites college graduate students in geology, planetary science, and related programs to apply to the Exploration Science Summer Intern Program. The internship program provides students with an opportunity to be involved in exploration science activities, thus effectively training a new generation of space exploration leaders. The application deadline is January 25, 2019 at 11:59 p.m. U.S. Central Standard Time, GMT -6. Applications are only accepted via the electronic application form found at https://www.lpi.usra.edu/exploration_intern/app/application_form/. The Exploration Science Summer Intern Program builds on the success of the Lunar Exploration Summer Intern Program that was designed to evaluate possible landing sites on the Moon for robotic and human exploration missions. Over a five year period (2008–2012), teams of students worked with Lunar and Planetary Institute (LPI) science staff and their collaborators to produce A Global Lunar Landing Site Study to Provide the Scientific Context for Exploration of the Moon. The program for 2019 is designed to have the same impact on future exploration activities. This program is open to graduate students in geology, planetary science, planetary astronomy, and related topics. The 10-week program runs from May 28, 2019 through August 2, 2019. Selected interns will receive a $6,300 stipend to cover the costs associated with being in Houston for the duration of the program. Additionally, U.S. citizens will receive up to $1,000 in travel expense reimbursement and foreign nationals will receive up to $1,500 in travel expense reimbursement. The LPI is adjacent to NASA's Johnson Space Center. The Johnson Space Center is home to the human exploration program and the integrated robotic and human systems that are being designed to push exploration beyond low-Earth orbit.